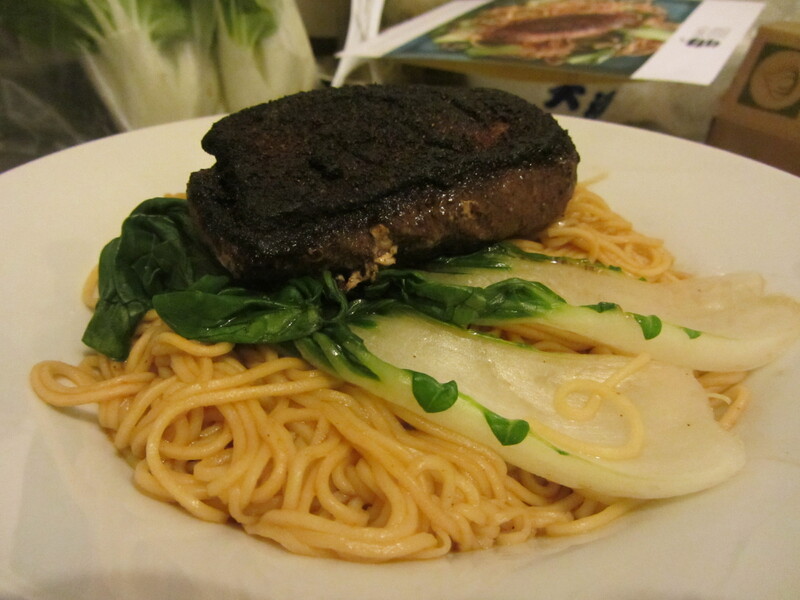 With the New Year looming, one of my resolutions for 2014 was to cook at home more often. 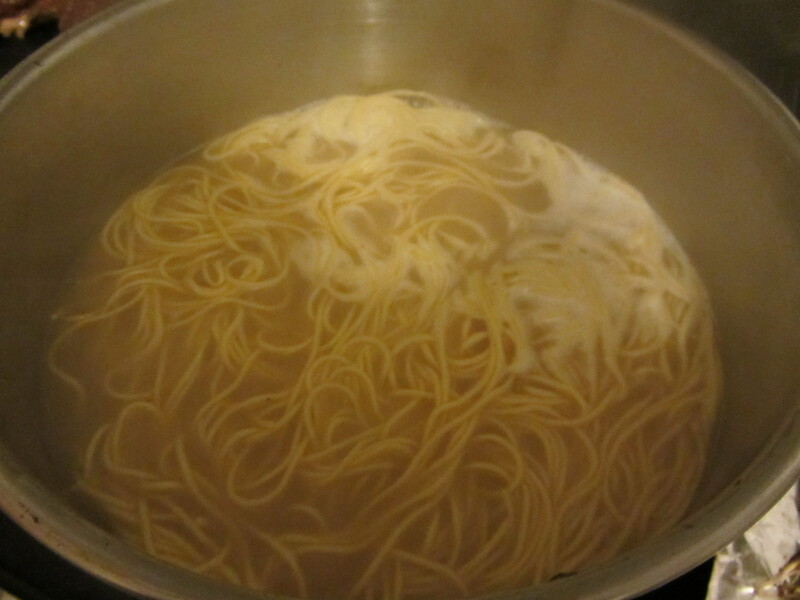 It’s hard being me, working all day and night cooking for myself seemed like a daunting task. I do enjoy cooking and thoroughly enjoyed all the events I’ve attended last year. 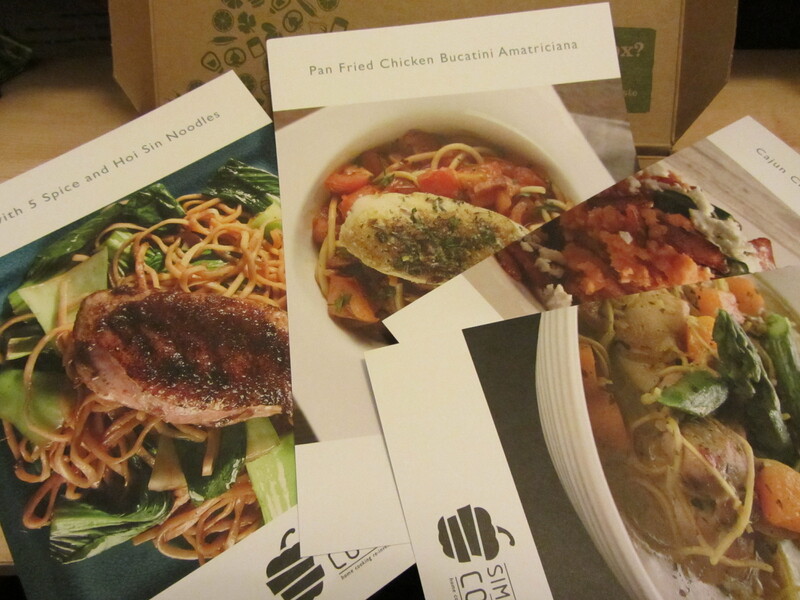 Well Simply Cook came to the rescue, the kit comes with 3 easy to follow recipes. 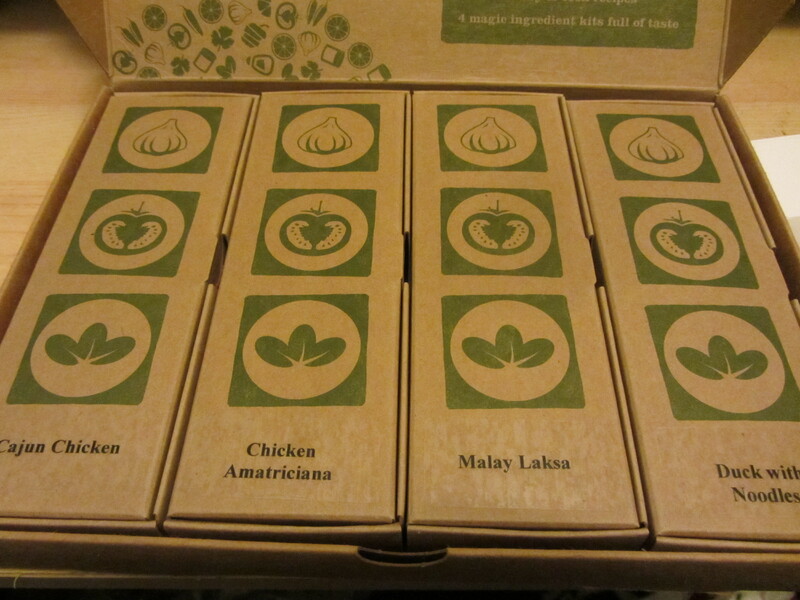 Each box comes with the magic blend of ingredients to whip up a meal designed to cook for 2. 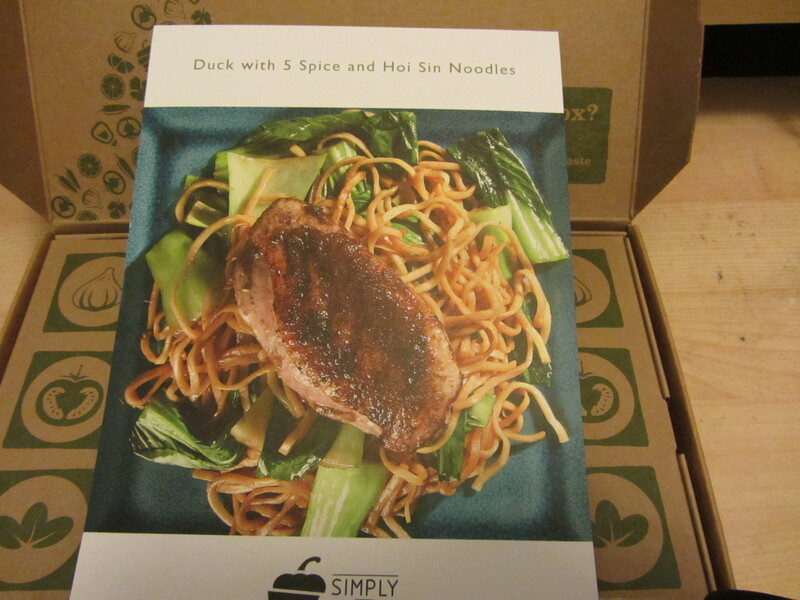 Out of the 4 recipes I decided to pick the easiest recipe “duck with 5 spice and hoi sin noodles”. 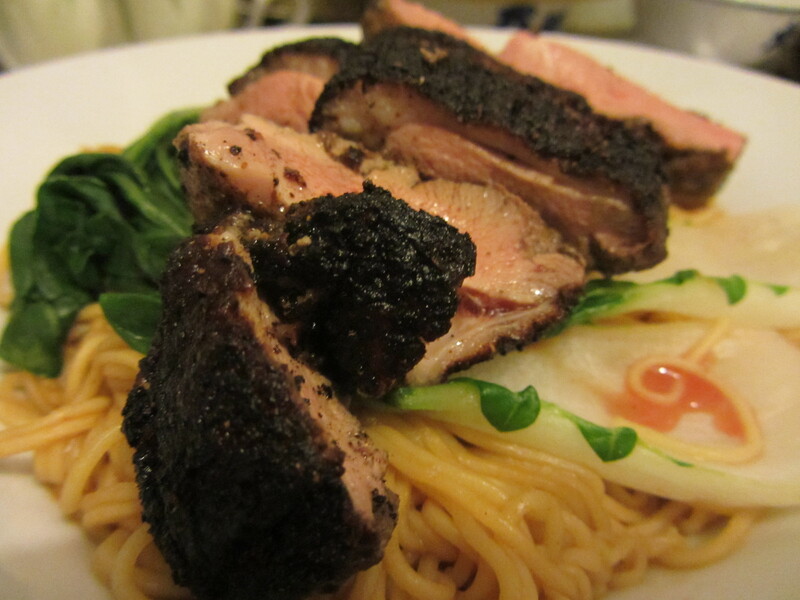 Following the instructions down to the t, I sprinkle the magic all over my duck meat and noodles and watched my dish come to life. 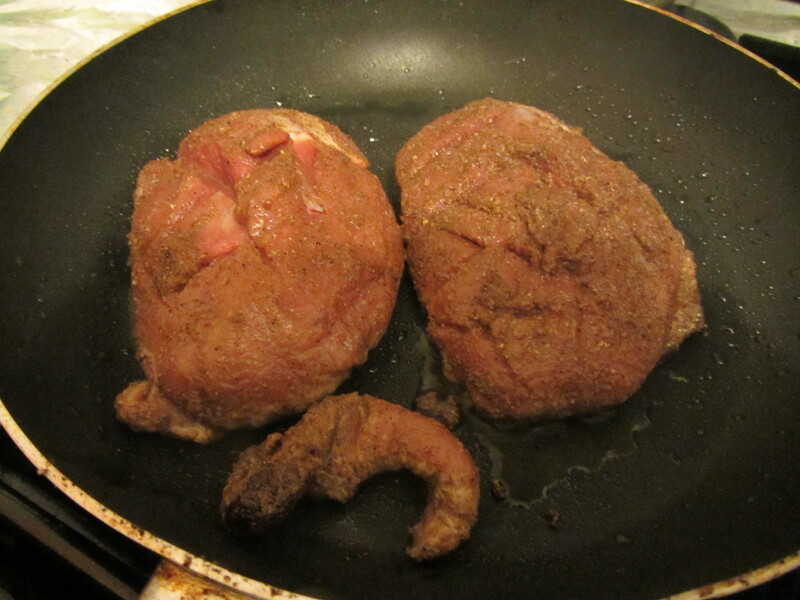 Well it didn’t quite end up looking like the professional food pic but hey it was a great first attempt. 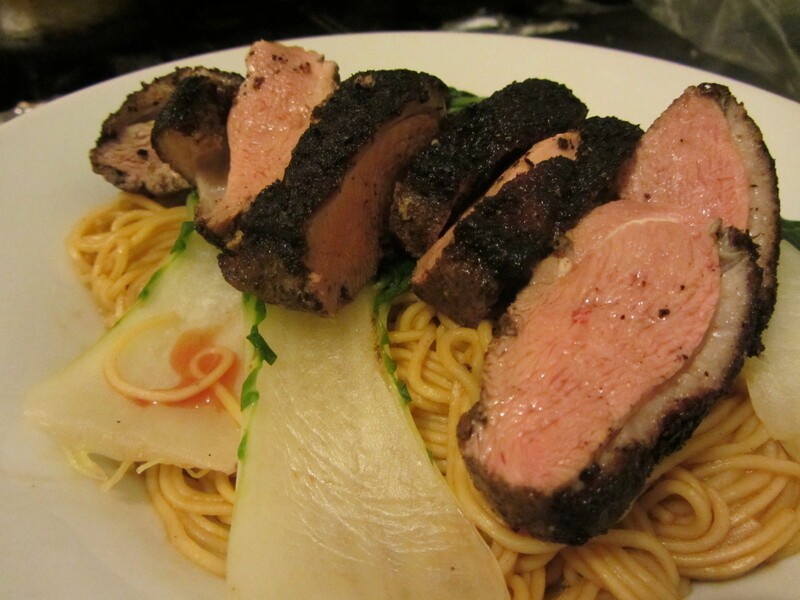 My duck skin burned, and the meat was tender and juicy a little pink. Everything else was cooked perfectly. I can tell the seasoning was healthy and not full of crap. 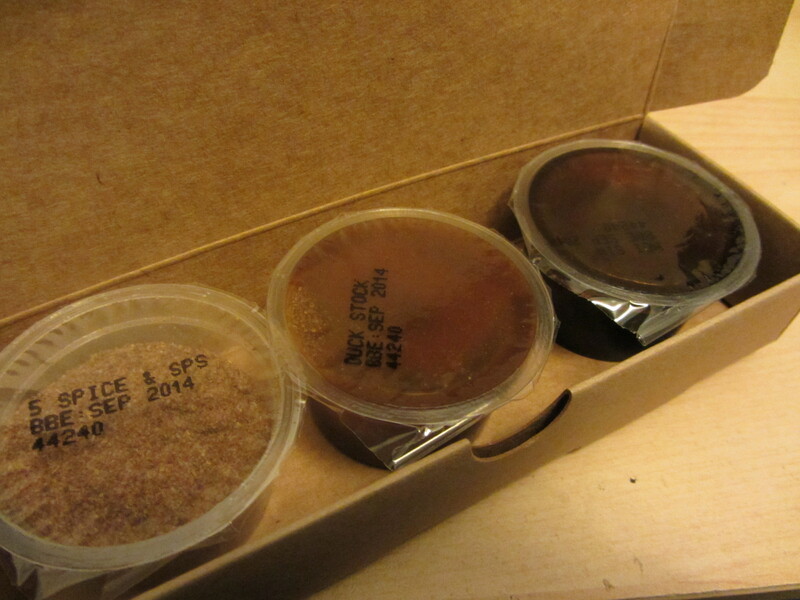 Although the 5 spices I couldn’t really taste I did love the sharp vinegar aftertaste in the hoi sin sauce. 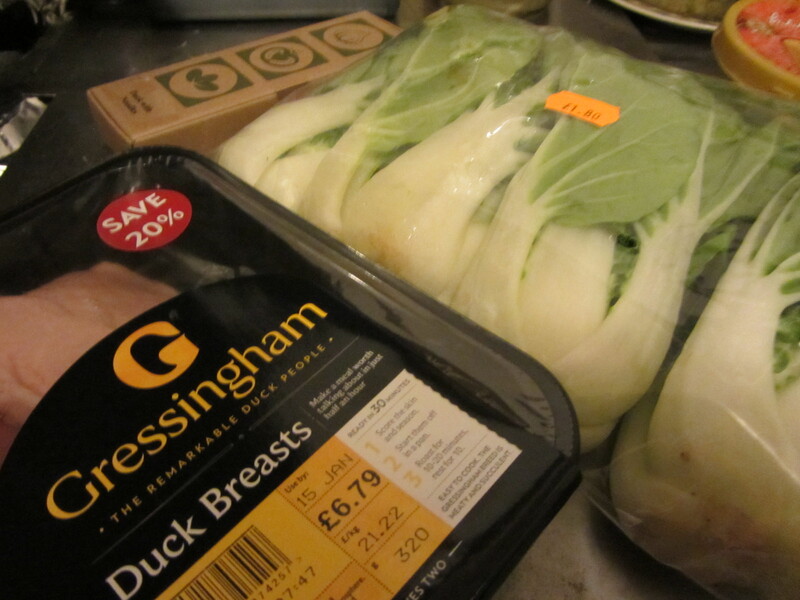 I had a hard time finding a supermarket that sold all the ingredients and had to make a trip to Chinatown just for my pak choi. 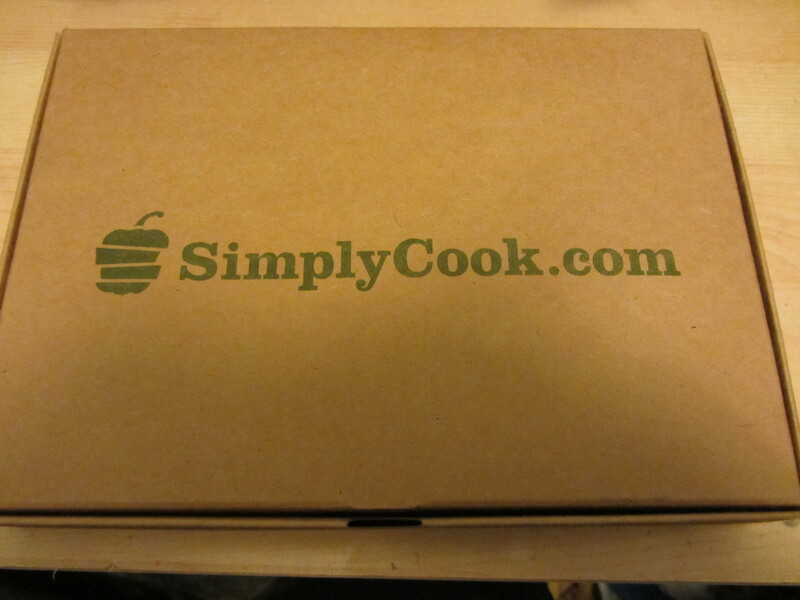 Overall Simplycook helped me cut time in the kitchen, my meal was prepared and cooked in a space of 40 minutes. 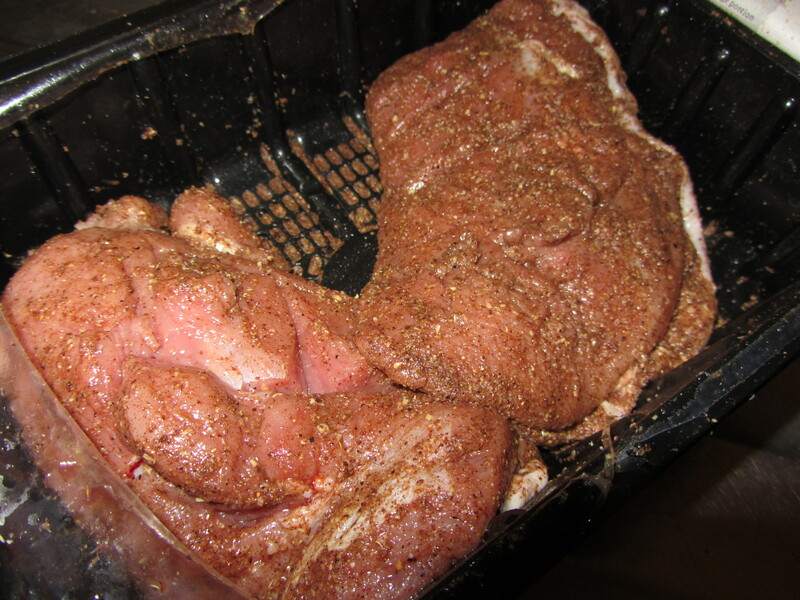 The recipe was simple to follow, the resulting in healthy tasting food without gunk. It costs £10 a month, with a 3 or 6 subscription. 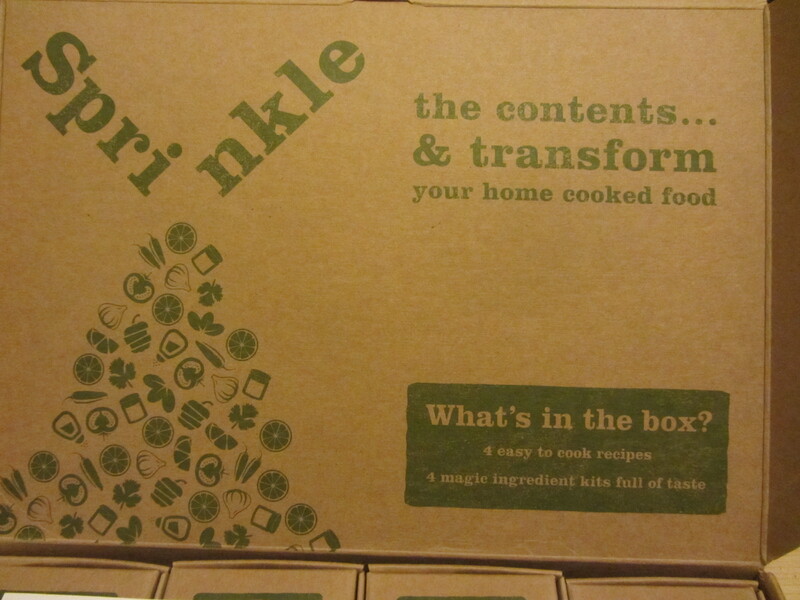 I’m looking forward to trying the Cajun chicken with sweet potato mash next. For all my readers you get a special 10% discount code for subscriptions. Use “Taste6” to redem. thanks do give it a go!